Dr. Regina Lamendella provides over a decade of experience in utilizing "multi-omic" approaches to understand complex microbial systems within environmental samples. 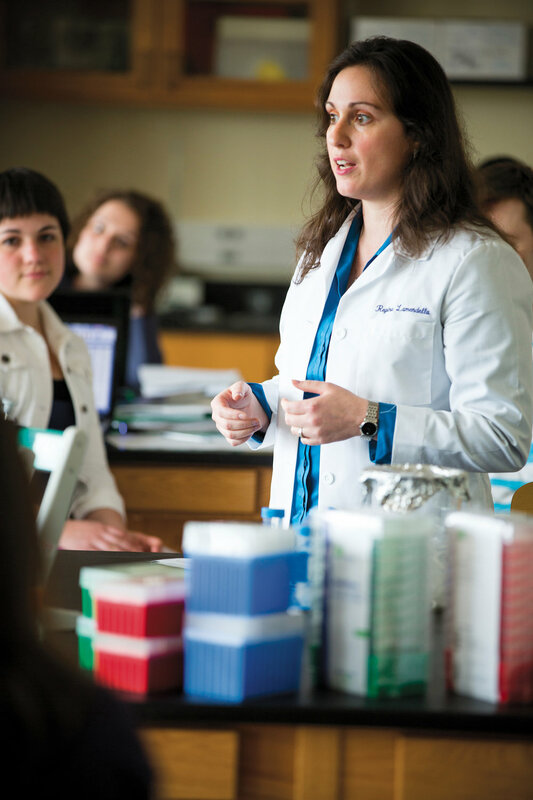 After completing her postdoc at Berkeley National Labs in 2012, Dr. Lamendella began her career as an associate professor of microbiology at Juniata College. In her short career, Dr. Lamendella has established herself as a highly-regarded microbial ecologist. A list of her publications can be found here. Justin has over five years of experience working on the conception and execution of bioinformatic and wetlab pipelines required for diversity analysis of microbial communities. After obtaining his bachelor's in biology from Juniata College in 2014, Justin and Dr. Lamendella developed and established Wright Labs, LLC to connect cutting edge genomic research to medical and environmental professionals. Since its establishment in 2015, Wright Labs has rapidly grown from a small startup, to a network of microbial specialists interfacing with medical doctors and environmental engineers across the world. Dr. Mark Peterson has established himself as a top tier computer scientist in the field of genomic research within the past decade. While obtaining his Ph.D from the University of Indiana and completing his postdoc at Juniata College in 2013, Dr. Peterson accrued a decade of experience learning the fundamentals behind the assembly, annotation, and biostatistical analysis of eukaryotic genomes. Over the past 3 years, Mark has served as an instructor at the GCAT SEEK conference, where he mentors and instructs biology scientists the methods behind RNA-seq analysis. A list of Mark's publications can be found here.